Looking for a little extra storage space for all of your knick-knacks while you get ready for a move? Platinum Removals and Storage has the perfect self storage solution for you and your family! Self storage can help you get your things organized to create more space in your home/office, or to prepare for the big house removal or office move! 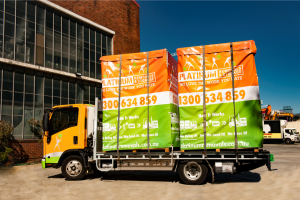 Platinum Removals and Storage is well known for our dedication and reliability when it comes to the care and transport of your items when you’re getting ready for a house move. Our selection of add-on services in addition to our moving services have been able to satisfy countless Australians in Sydney so that the whole operation of moving your home becomes so easy and simple to execute! So we thought why stop there? 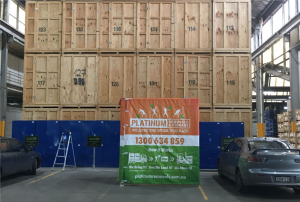 With our portable storage and portable self storage units, there are even more things to look forward to when you move with Platinum Removals and Storage ! You won’t have to worry about very much when you move with us since we’re able to take care of everything right from packing all the way through delivery to your new home or office. Except now, with our self storage options, you have an added benefit of knowing that you don’t have to confine all of your moving to one day! All the technicalities of trying to orchestrate a big move in under a few hours will be a thing of the past since you can opt to put your things in a self storage unit with us and move in slowly, at your pace, without a huge increase in the price of moving! The self storage prices we offer our customers who are making use of both of removals and storage services are so amazing, you have to get a quotation to truly believe what we are offering. But the best thing about our self storage options are that we offer you a jumbo self storage unit so that you can be guaranteed that all of your items, from your bulky furniture to the smallest decorations will have a place in our self storage pods. Our storage pods are made of industrial quality plywood, so while they are hardy and strong, they are also completely transportable from our storage facilities to your home. You can take your leisure to load up your mobile storage pod and let us keep everything in safe and secure care until you are ready to have all these excess items delivered to your new home. Make use of our packing services to pack up all the items that you have into the self storage unit instead of the loading van if you want to have these items put aside, and then come back to everything once the details of your move are more settled down. All of our moving services, whether in relation to moving your business or home, or into self storage, come with our guarantee of care and attention so that you can be absolutely certain of the way that we handle and manage items in our care. 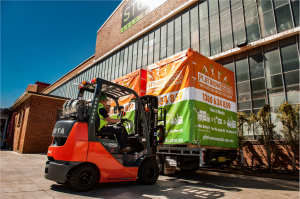 Whether you require long term storage or short term storage services, we will ensure that your items are properly packaged and padded so that the chances of damage while we are on the move or once everything is on the ground at our facility is minimised. Platinum Removals and Storage can also assign a move coordinator to your self storage portion of your contract with us so that you can keep track of the movement of all of your items, whether to storage, or to your new home or office. Treat yourself to a full storage package with Platinum Removals and Storage!